CAIRO — Just days after the worst terrorist attack in Egypt’s modern history, Egyptian President Abdel-Fattah el-Sissi on Wednesday gave his security forces a three-month deadline to restore “security and stability” in the troubled northern Sinai, the epicenter of an increasingly brutal Islamic insurgency. In a televised ceremony marking the birthday of Islam’s Prophet Muhammad, Sissi authorized his new chief of staff, Maj. Gen. Mohammed Farid Hegazy, to use “all brute force” against the terrorists. Hegazy, appointed last month, rose up from his front-row seat and stood in rigid attention as Sissi, a general-turned-president, addressed him. This is the second time since Friday’s horrific massacre in a sleepy Sinai village that Sissi ordered the use of “brute force” against the jihadists. It was not immediately clear what the use of such force would entail, but it suggested a scorched earth tactic that many of the president’s loyalists in the media have been calling for. 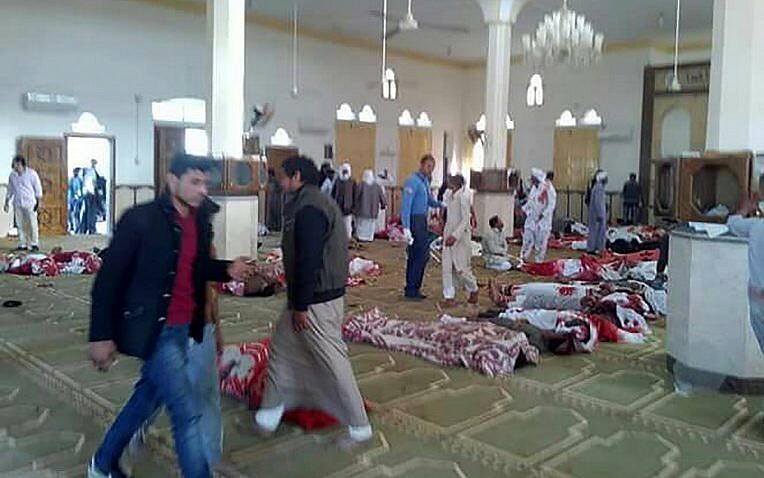 Friday’s attack on a mosque in the northern Sinai village of al-Rawdah was the deadliest assault by Islamic extremists in Egypt’s modern history. Among the 305 dead were 27 children; another 128 people were wounded. The Islamic State group hasn’t yet claimed responsibility for the mosque attack but the over two dozen gunmen who unleashed explosives and gunfire to mow down the worshippers during Friday prayers carried the black banner of the IS terror group. The mosque belonged to followers of Islam’s mystical Sufi movement, considered by IS to be heretics. 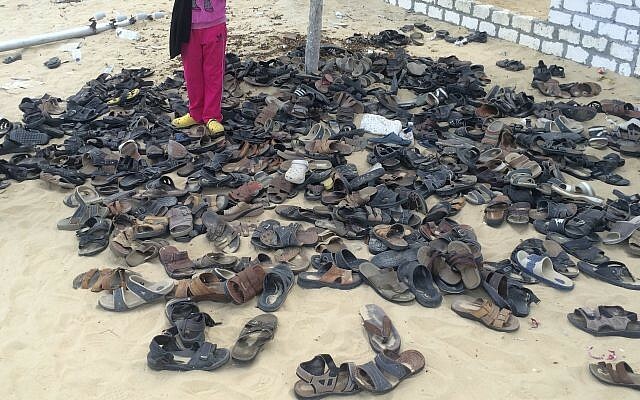 Jihadists have in the past targeted them in Sinai as well as elsewhere, like in Iraq. Sissi has frequently said that Islamic terrorists have benefited from the care his security forces routinely take to ensure that civilians are not caught in the cross-fire. 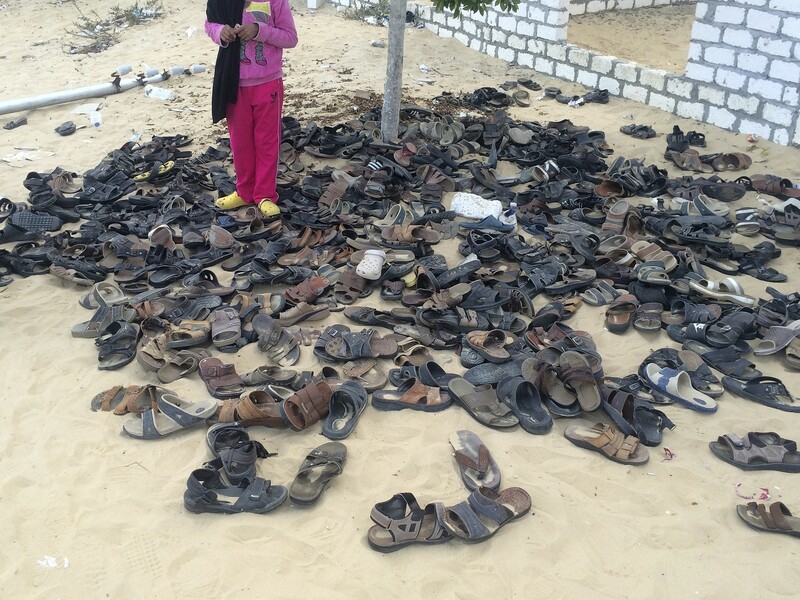 But rights groups and Sinai activists have in the past spoken of civilians enduring collective punishment, usually in the aftermath of major attacks, and of hardships resulting from military operations, including lengthy power, water and phone outages. 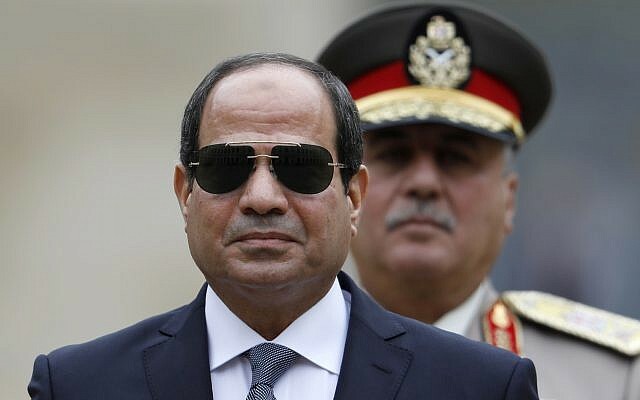 Giving his security forces a three-month deadline to quieten Sinai may turn out to be a risky gamble by Sissi, who is widely expected to seek a second, four-year term in office in elections due in less than six months. Failure in Sinai would dent the president’s standing as the general who won office in a 2014 election mostly on promises of restoring security. However, only state-owned Egyptian media with unquestionable loyalty to the government are allowed to travel to northern Sinai, leaving authorities in near-total control of the narrative on how the war there is going. Against the backdrop of such restrictions, an absence or a continuation of attacks by terrorists during the next three months and after that would likely be the best indicator of the situation. 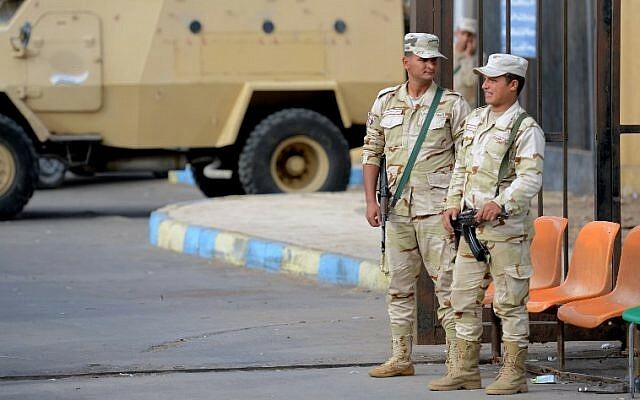 Egypt’s military and police have for years been waging a tough and costly campaign against terrorists in the towns, villages and desert mountains of northern Sinai. In the past year, fighters have bombed churches in the capital of Cairo and other cities, killing dozens of Christians. A local affiliate of the extremist Islamic State group now spearheads the insurgency. It is believed to have been behind the October 2015 downing of a Russian passenger jet that killed all 224 people on board, decimating the country’s vital tourism sector. The insurgency has gathered steam and on occasion spread to the mainland following the ouster in 2013 by the military, then led by Sissi, of Mohammed Morsi, an Islamist president whose one year in office proved divisive. Also, a series of recent attacks in Egypt’s vast Western Desert suggests the opening of a new front. Authorities believe attacks there are carried out by fighters based and trained in neighboring Libya.